ГлавнаяМорское ЧтивоShip NavigationNavigation Equipment and ResourcesWhat are Vessel Traffic Services? Managing traffic for marine routes is a task as difficult as it is important. Technicalities of this vessel traffic management are immense, which mean there is always a need for specialized services for the same. Vessel traffic services deal with managing ship traffic on marine routes, suggesting best routes for a vessel and ensuring no two vessels run into each other on congested routes. All this and much more ensures that maritime information always flows smoothly over all marine routes and ship traffic remains organized. As included by International Maritime Organization, Vessel Traffic Services also deal with making marine routes safer and more efficient. Concept of VTS first came into being with increasing need for a single body to regulate ship traffic. As marine routes became more and more popular and populated too, number of accidents on these over worked routes went up too. The current form of VTS first appeared in the port of Liverpool in 1949. From there, it spread through Europe. In US, Coast Guard first took the responsibility of managing ship traffic. However, VTS as we know it came into existence somewhere in 1980s. In 1971, the Bridge to Bridge Radiotelephone Act and The Ports and Waterways Safety Act of 1972 were passed which later made way for the establishment of present day VTS. However, the first radar surveillance in US was established in 1950 at Long Beach, California. Centralized authorities like IMO maintain VTS through proper personnel and VTS zones in different parts of the world. Other organizations like IMPA, IFSMA, IALA, IHMA and IAPH are also part of standardized VTS protocol. Maximum economic returns possible from a marine route can be realized only with help of these traffic services that keep important marine information available for all mariners at all times. It even helps in keeping a tab on movement of unauthorized cargo movements, making waters safer and more controlled. However, one of the most important roles of these services is to act as a vessel finder. The information gathered, stored and replayed by various sensors help in keeping a tab on movements of vessels at all time. This crucial marine information is available at all times and can be used to find a vessel if it goes missing. Surveilled – they consist of land based sensors for attaining important marine information. These sensors include radars, AIS and closed circuit television sites. Signals from these sensors are sent to central locations where trained VTS personnel analyze the information and guides ship traffic. Non Surveilled- consists of one or more reporting points at where ships notify about their identity, course, speed and other data. Using this data, courses of various vessels are mapped out and regulated to avoid any mishaps. Uniformity is attained in between surveilled and non-surveilled sensors for complete coverage of entire marine traffic. Hence understanding nature and working of these sensors would be of importance to any mariner. Here is a list of most commonly used sensing components of vessel traffic services. It includes transmission of marine information in form of radio waves of certain frequencies. These frequencies can be read to determine size and speed on any incoming object to a distance of several miles. All vessels are equipped with radar systems which are further connected to onshore centre for transmitting information and forming a web of data. It stands for Automatic Identification System and helps in improving safety and efficiency of navigation. This system makes use of a broadcast system that helps in updating data on connected vessels automatically. This is a speedy system which can update information ever two seconds. Self Organizing Time Division Multiple Access (SOTDMA) technology is used to handle and transport such huge amount data at such high speeds. As the name suggest, this component of VTS helps in obtaining maritime information that will help to locate direction from which radio frequencies are coming. This device particularly helps in acting like a vessel finder. 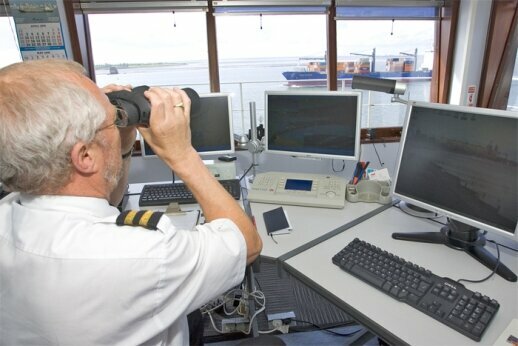 Vessel traffic services are used for the sole purpose of making all ship routes safer and more efficient. With trained personnel, this take becomes easier and makes marine routes safer.